I am a total sucker for a good breakfast sandwich and would probably eat one every morning if I could, but in an attempt to eat healthier I wanted to find something I could have in the morning that was good for me, flavorful, and energizing. 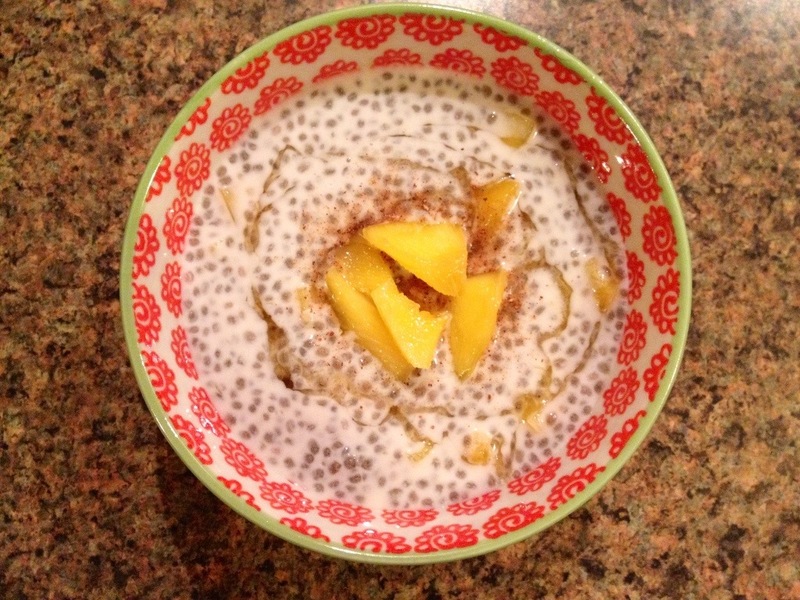 I saw a recipe on Skinny Taste that looked yummy, plus it had chia seeds, which are a great superfood. 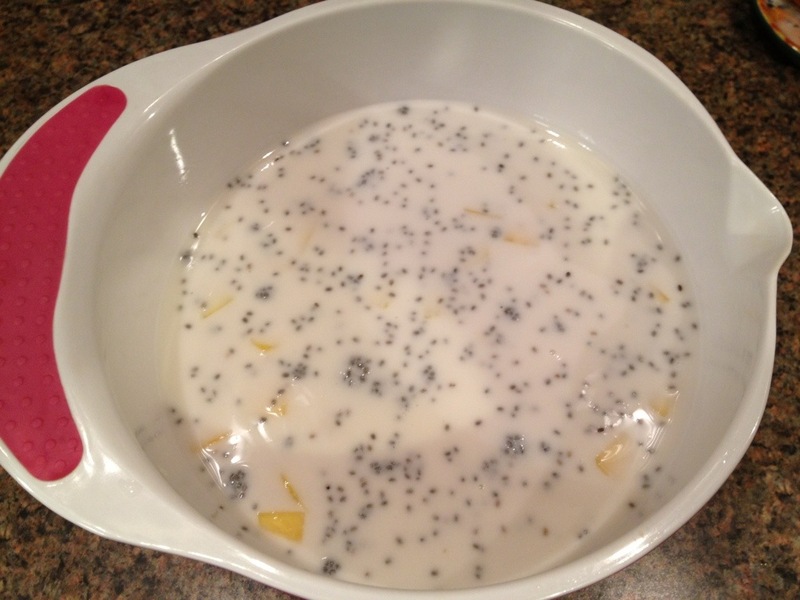 I also really love the strange tapioca-like texture that it has! It is very simple to make. Just add all the ingredients and mix well. 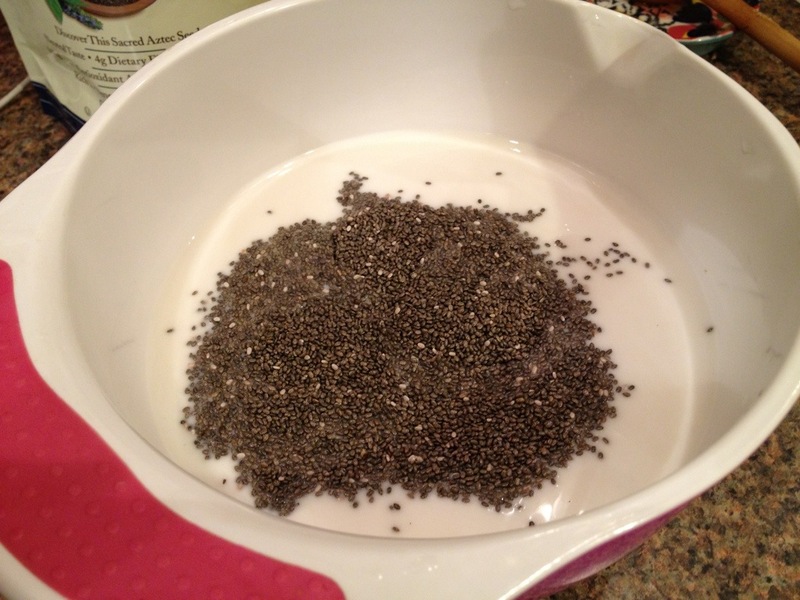 I used a whisk because the chia started to clump together once they hit the liquid. 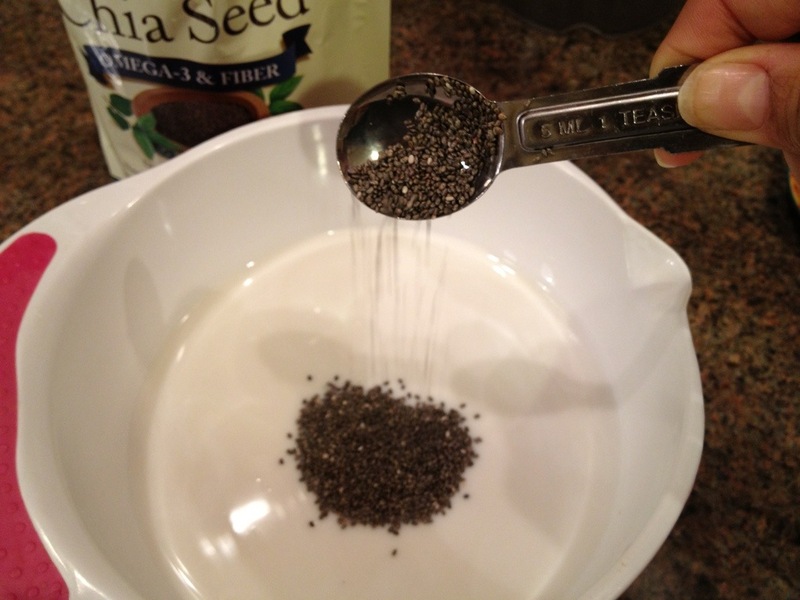 Let sit overnight so that the seeds can absorb the liquid and expand. I made mine late at night and it was perfect when I got home from work the next day. 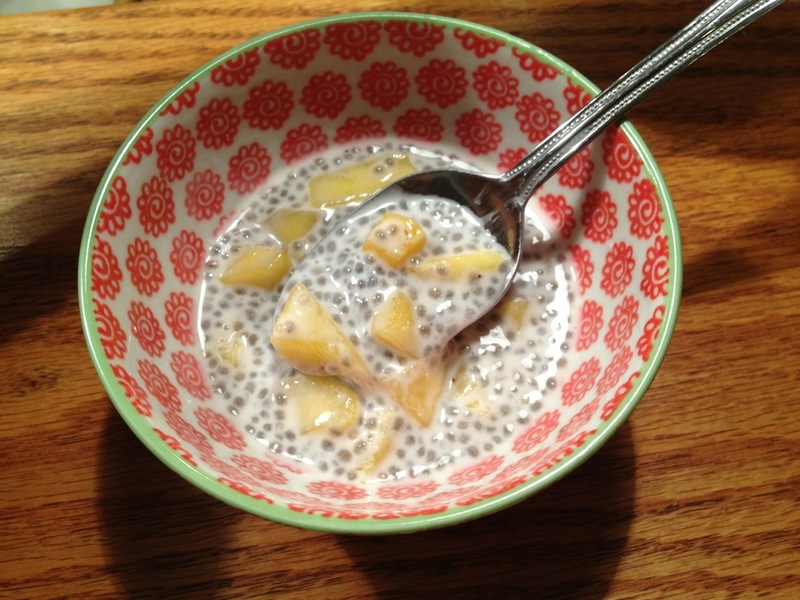 It came out great, and is good for both breakfast or a little night snack. 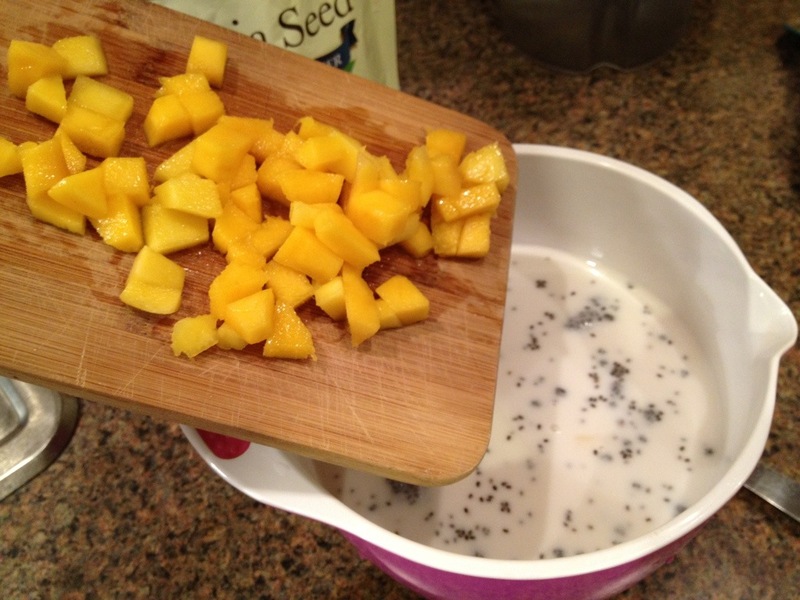 I drizzled honey on top of mine and sprinkled some cinnamon sugar as well. I think next time I might try using vanilla almond milk, or maybe throwing in some shredded coconut like the original recipe had.